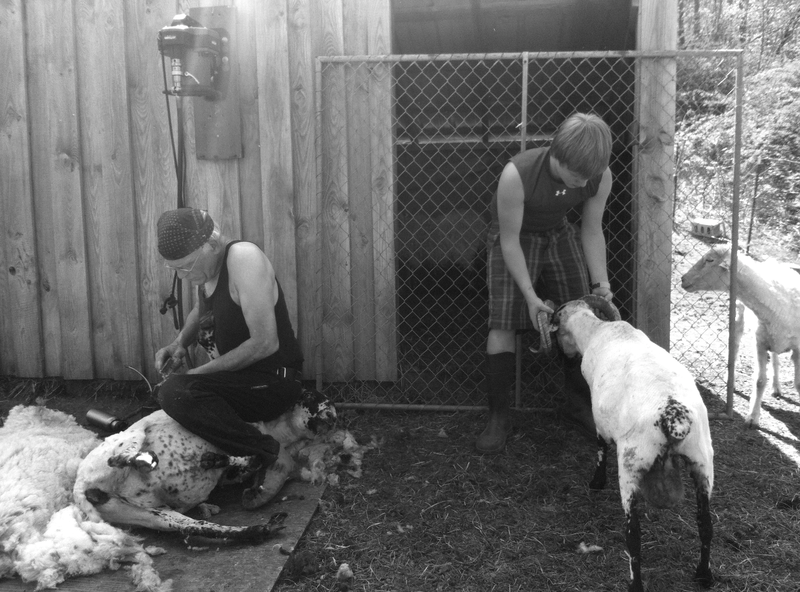 Shearing Day is a bonefide Holiday here at Cold Antler Farm. It’s one of the annual events that shape my year, a new and beloved tradition that takes place every late spring. And even though it’s a fairly new kind of holiday, it is already starting to rack up wonderful stories and memories. It all went down this past Monday in a balmy 80 degrees. That’s warmer weather than usual for a day of ewe-flipping and ram-wrangling but I was game and had good help on hand. My good friends Miriam and Keenan came to take photos and help pen and handle sheep and a trio of interns came along with the crew from Common Sense Farm as well. That comes to eight adults and seven sheep. I was feeling good about the odds. I leaned next to one of the interns who looked a little nervous and said in a conspiratorial tone “Don’t worry. I think we can take ’em” and winked. She didn’t look so sure. Sheep seem placid enough eating grass on a hill but when you have seven 150+ pound animals in a pen wanting to get out and not sure why you are grabbing them and pulling them into strangers hands with metal, whirring, objects….. Well, it can get a bit dodgy. The intern gulped. The shearer set up shop. And I got ready to take on the blessed event. I am kidding, of course. It wasn’t that rough. I was in good hands. Jim McRae is my shearer and he always does an amazing and gentle job. He had an apprentice with him named Tom and together they did in moments what would take me hours. I can say that with certainty because I have tried it. Poor Sal let me and Patty Wesner work on him for nearly an hour with hand shears and two pairs of sheep trimmers (one shorted out and the other was made for dogs and couldn’t handle the lanolin and sheer mass of wool). We did it. But Sal looked more like a sheep that walked through an automated car wash post lightning strike than a shorn beast of beauty. So, I hire Jim. Jim charges $25 to come to your farm and $6.50 a sheep (or 8.50 if he trims hooves too). I splurged for the $8.50 charge and it didn’t take long for all seven of the woolies (I don’t sheer the hoggets) to be as naked as whippets. Now everyone will tell me I have nice goats, since no one expects a shorn scottish blackface ewe to be anything but a goat. 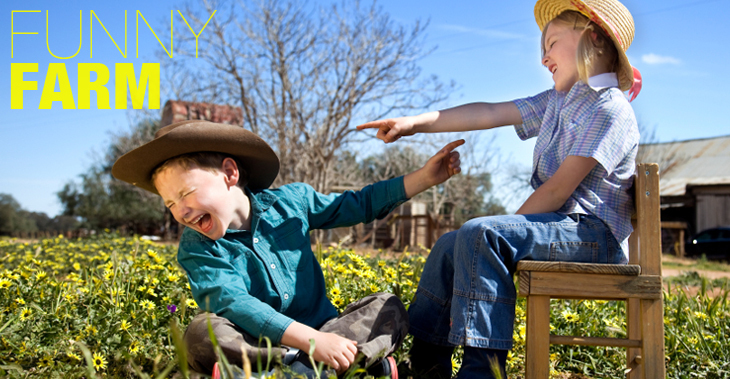 The kids laughed, Keenan held his own, and the interns did not get rammed, gorged, or even need a bandaid. One did show up in flip flops, and I gave her a hard time about that, but that was the worst crime committed that day. Within an hour of set up the flock was bare, the wool gathered in a tarp, the check handed over and hands shook. Now it was time to hit another farm and another flock. Since Common Sense has five Scottish Blackfaces that originated from breeding stock they bartered from me, we usually share the shearer. First shearing is done here and then I head down there to help with theirs. It’s a nice day of teamwork, sweat, wool and shared moments. I got to make up for my earlier foibles by managing to catch a lamb mid-air as it tried to jump over my crouching frame. It was a big show down at Common Sense, too – with a different group of their own homeschool kids watching the masters work their charges. I have watched Jim shear my sheep for over five years now and every time I am amazed at his skill. At one point he held down a just-shorn critter and had the children come and feel the lanolin in their hands. He then showed the kids his own hands, smooth as can be, and explained that lanolin is why a sheep shearer’s hands never crack in the spring. This warmed my heart, the hands-on lesson. I thought how lucky these kids are to see an ancient craft, touch it, smell it, and know it. When the sheep were all set, the trimmers put away, the hot sun high, and the lambs panting behind their odd new mama’s I retired to the greenhouse with my friends from the Community. We picked spinach, caught up with each others lives, and talked quietly under the sail rattle of plastic greenhouse covering. 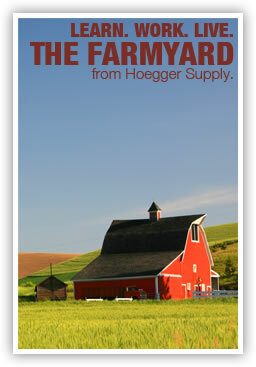 It had been a long day of two farms, two flocks, many friends, and new faces. But together we got the job done and in a few weeks some of these same folks will be back to help with other farm projects, as I will continue to help them whenever I can. That is how it works around here. No steader in Veryork is an island. Which is really for the best, because I can’t think of anything more miserable than naked sheep needing constant applications of SPF-80. See the introductory blog from Jenna here.